Thanks for attending my Mobile Storytelling session at #NABJ13, #mmbootcamp13. As promised you can download the PDF Apps for Journalists here. Val Hoeppner Media and Consulting, LLC provides training, consulting and strategy for media companies large and small. If you are interested in mobile storytelling, mobile video, social media, video, multi-platform or other digital training for your newsroom or business please contact me at vhoeppner@mac.com. 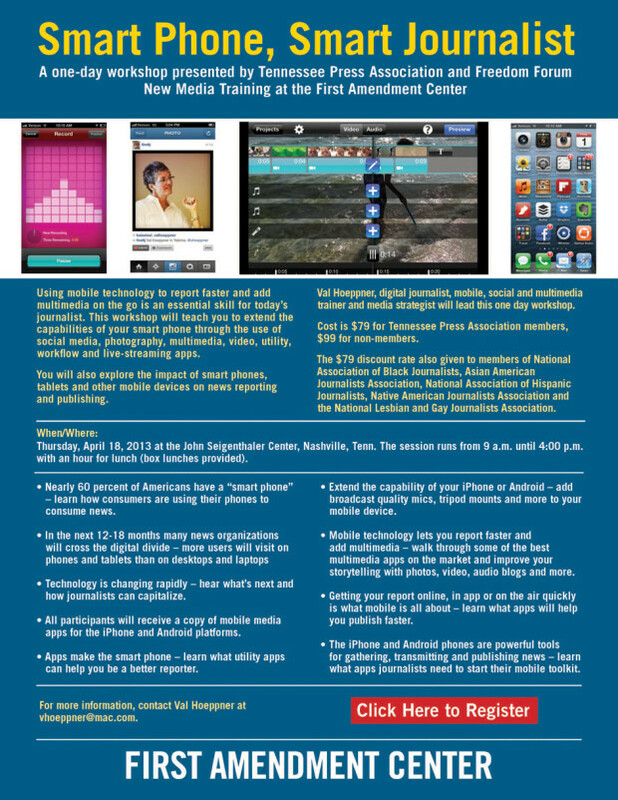 Smart Phone, Smart Journalist Mobile Workshop April 18 in Nashville, Tenn. Using mobile technology to report faster and add multimedia on the go is an essential skill for today’s journalist. 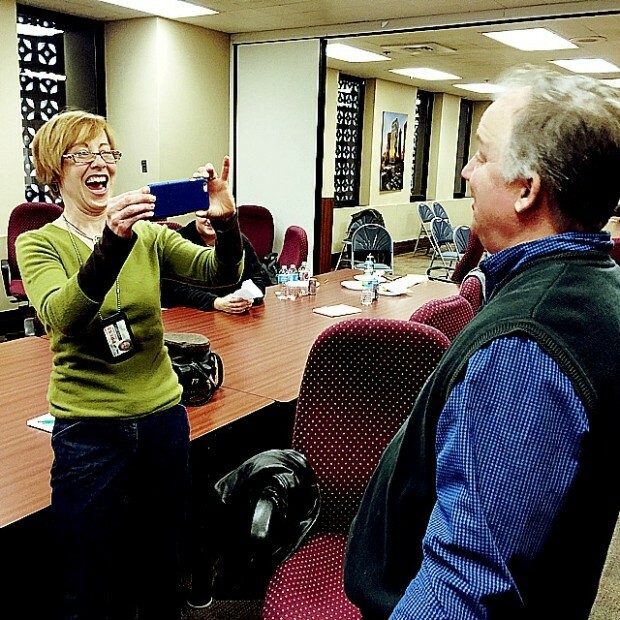 This workshop will teach you to extend the capabilities of your smart phone through the use of multimedia, video storytelling and editing, photojournalism, notetaking, utility applications, geolocation and live-streaming apps. You will also explore the impact of smart phones, tablets and other mobile devices on news reporting and publishing. Val Hoeppner, director of education for the Freedom Forum’s Diversity Institute will lead this one day workshop April 18, 2013 at the John Seigenthaler Center in Nashville, Tenn. Cost is $79 for TPA members, $99 for non-members. Start time is 9 a.m end time is 4 p.m. Box lunches will be served.